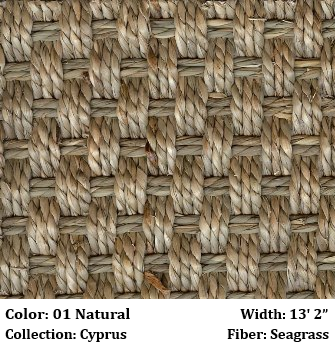 Whether you are interested in an eco-friendly area rug or just want to bring a touch of natural beauty into your space, natural fiber is the way to go. 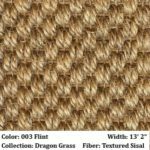 We have several different product lines to choose from, including options made from the following types of fibers. 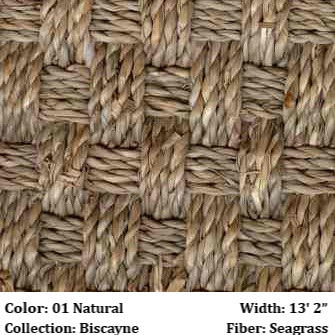 Seagrass Rugs: Woven seagrass rugs present tremendous possibilities for just about any space. 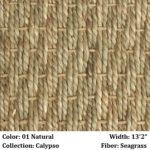 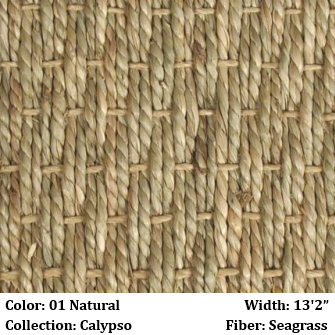 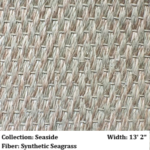 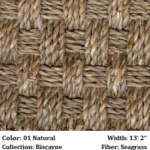 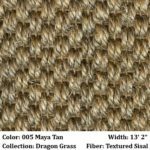 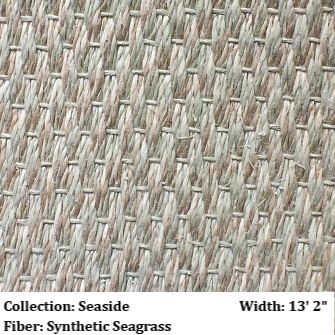 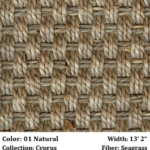 The thick, durable seagrass fibers are low-maintenance, highly stain-resistant, and easy to clean. 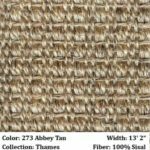 These fibers are typically undyed to show their natural color variations ranging from tans to sage greens, and they can be woven in a variety of different patterns to add texture and interest. 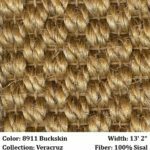 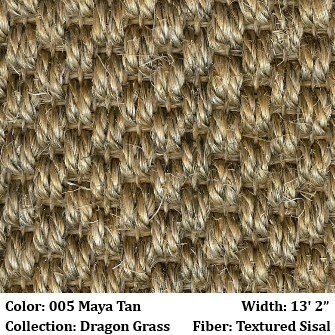 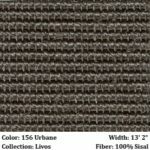 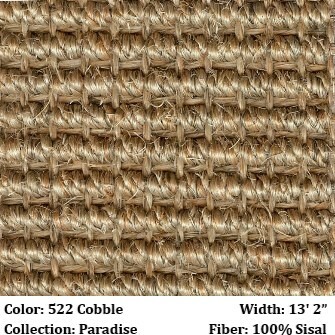 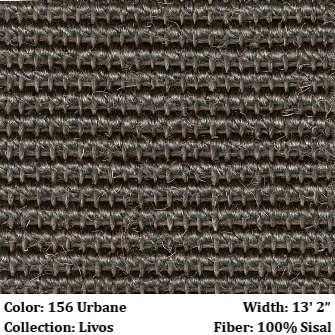 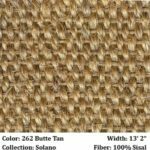 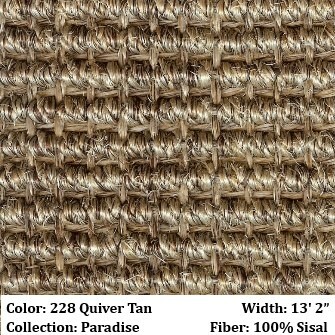 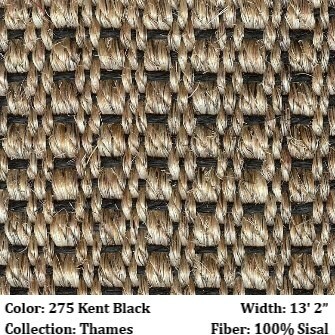 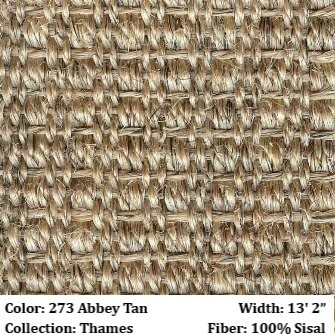 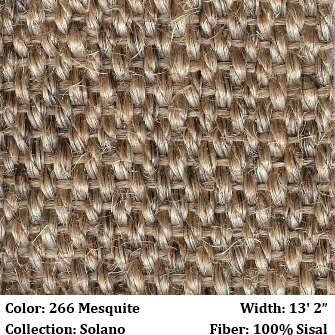 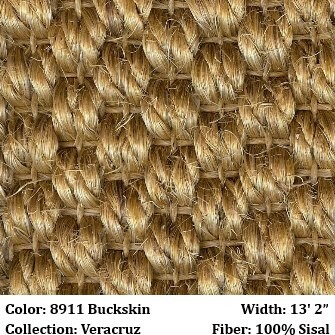 Sisal Rugs: Natural African sisal fiber rugs offer plenty of versatility and flexibility for your design. 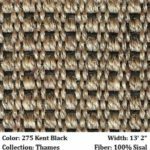 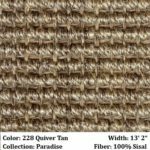 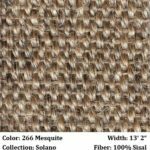 Choose from very tight, small boucle weaves to provide superior durability in high-traffic areas or larger weaves and/or patterned weaves for more visual interest. 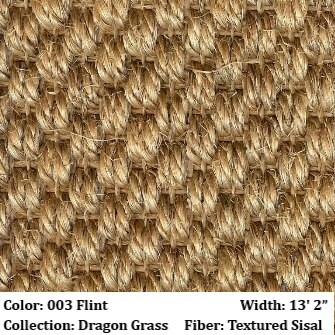 The fibers can be dyed a variety of colors. 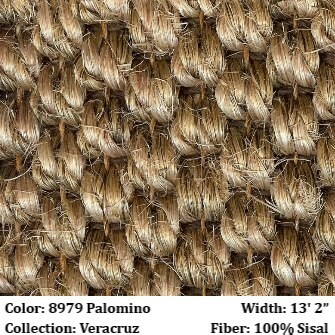 Sisal is a naturally resilient, fire-retardant, sound-absorbing, and anti-static material. 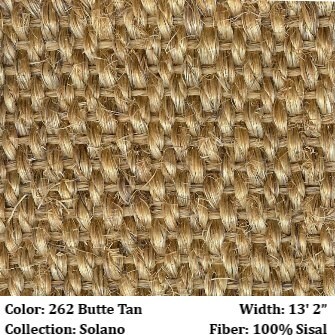 Wool Rugs: The most traditional natural fiber we offer, wool is prized for its softness, durability, and beauty. 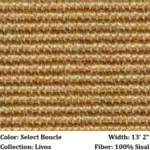 Wool is naturally flame-resistant, stain-resistant, water-repellant, and anti-static. 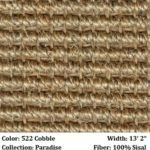 A huge variety of colors and patterns of both handmade and machine-loomed wool rugs are available in wall-to-wall or loose-laid styles. 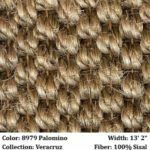 No matter which type of fiber you choose, your rug will feature a quality non-skid backing to help it stay in place on any surface. 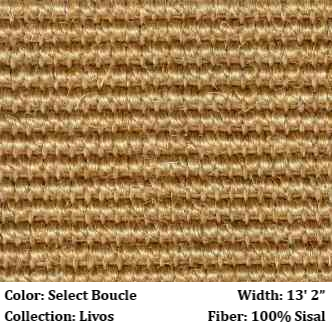 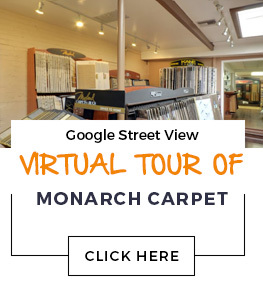 You can also have the rug edged with your choice of binding material in virtually any color or width.